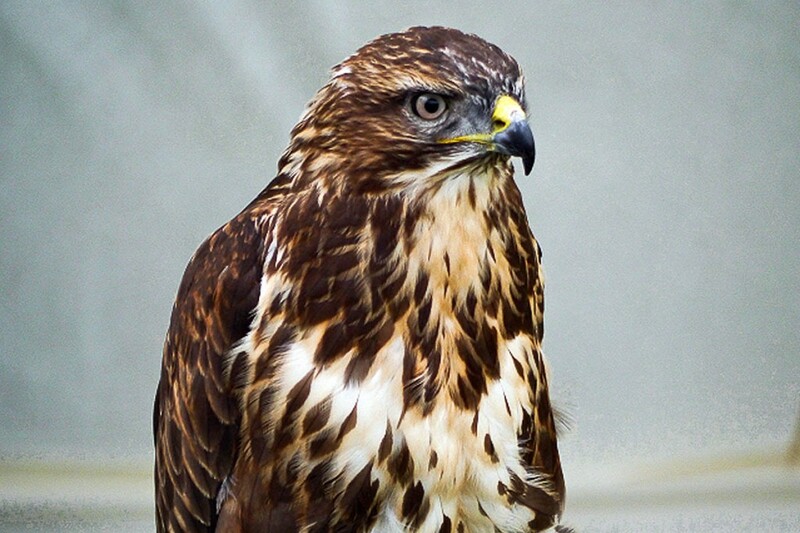 Police in North Yorkshire are appealing for information after the discovery of a bird of prey that was killed illegally. An examination of the body of buzzard found in the Nidderdale area of outstanding natural beauty revealed the cause of death as shooting. The killing continues North Yorkshire’s unenviable reputation as a blackspot for raptor persecution. North Yorkshire Police said the dead buzzard was found on 1 February at High Skelding between Pateley Bridge and Ripon. It was discovered in a small coniferous plantation near where the Ripon Rowley Walk route crosses the upper River Skell. A police spokesperson said: “The police arranged for an x-ray at a local vet and this shows that the bird had been shot. It is thought to have been shot between 31 January and 1 February. A tagged hen harrier went missing in upper Swaledale in December and a shot peregrine falcon was found near Grassington in October last year. Both incidents happened in the Yorkshire Dales national park. In June 2016, a shot red kite was found in Nidderdale at Timble Ings near Fewston Reservoir, not far from a similar discovery the previous month. In July, North Yorkshire Police admitted it had been wrong not to pursue a prosecution through the courts of a junior gamekeeper who admitted setting illegal cruel traps on the Mossdale Estate near Hawes. He was given a police caution for the offence. In May, police revealed eight red kites, including one of those near Fewston, had died from either shooting or suspected poisoning. Anyone with information about the latest crime is asked to contact North Yorkshire Police on 101 and selecting option 1, quoting reference number 12170018791 when passing on information. Alternatively, members of the public can contact the investigating officer PC Bill Hickson by email. Its time to stand up and be counted the slaughter of these birds cannot be allowed to continue. A petition needs starting to bycott Yorkshire as a tourist destination and when that takes effect someone may wake up and do something positive. Yet another beautiful bird of prey is shot by mindless gamekeepers in the Yorkshire Dales. The 'lord of the manor' should be held liable for any illegally shot birds of prey found on their land. Gamekeepers don't like walkers exercising their rights under the CRoW Act on the grouse moors, as we might just catch them up to no good. £millions of taxpayer subsidies should be stopped immediately for all grouse moors. Simple fix. The landowner is held responsible unless they provide details of the guilty party.. There is too much turning a blind eye to this sort of activity. Illegal traps can be found all over the moors -take Bink Moss as an example. Pole traps, sbares etc.. The answer, as others have alluded to is simple, if a shot bird or trap or poisoned bait is found on land then prosecute the landowner(s), not gamekeepers as they are only doing what they are told to do. When I say prosecute the first thing we need to do is set punishment at the right level. I would suggest £1 million or pay back any grants the estate has received over the previous 5 years, whichever is the greatest (grouse estates are big business) for the 1St offence. For. 2nd offence, a minimum of 5 years in prison and all shooting on the estate, whether ownership changes or not, for 10 years.